So... Roman Reigns vs. Brock Lesnar at WrestleMania 35? 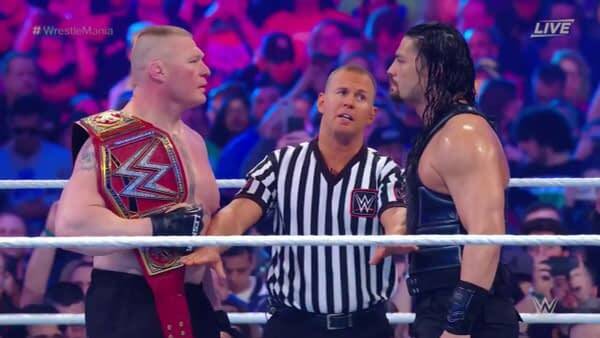 Home » Film » So… Roman Reigns vs. Brock Lesnar at WrestleMania 35? Yesterday, the unthinkable happened. No, we’re not talking about Braun Strowman teaming with a small child to win the tag team titles. No, we’re not talking about Asuka’s streak ending. We’re not even talking about Roman Reigns losing. 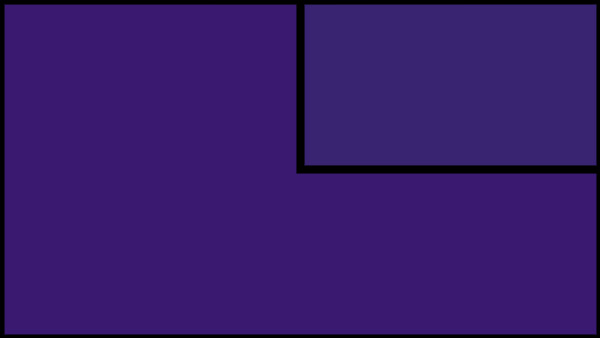 The real shocker: we were wrong. That’s right! We know it’s hard to believe, but we were wrong. 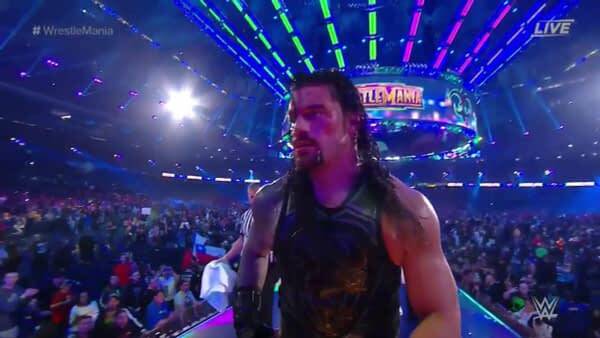 Yesterday, before WrestleMania even began, we posted an article congratulating Roman Reigns on his upcoming victory against Brock Lesnar. We’ve been predicting it, along with everyone else who watches WWE, for the past year. 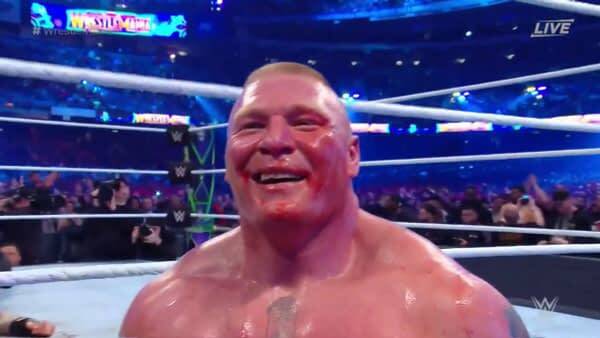 We were all so sure that the entire purpose of Brock Lesnar winning the title at last year’s WrestleMania was so that he could drop it at this year’s to Roman Reigns, solidifying Roman’s place as the “top guy” in WWE. With Lesnar seemingly headed toward a UFC return, it seemed even more certain that Reigns would win, even though the crowd has been consistently rejecting the idea of Roman Reigns as the top guy for more than three years now. 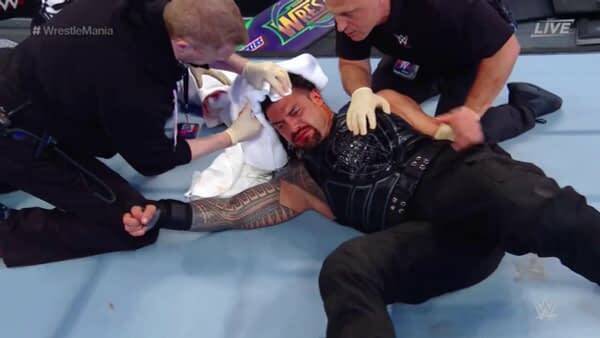 Well, Roman Reigns faced Brock Lesnar at WrestleMania last night, and in a match whose in-ring brutality, seeing Reigns tossed haphazardly on his head by multiple Lesnar suplexes and at one point busted open by an elbow, topped only by the brutality of the crowd in crapping all over the match, chanting “CM Punk” and “boring” and “this is awful,” which WWE did their best to mute, Reigns… lost. Sure, the match consisted only of four moves — suplexes and F5s from Brock and Superman punches and spears from Roman — but Roman lost. He was not, as we and so many others predicted, coronated at WrestleMania 34. 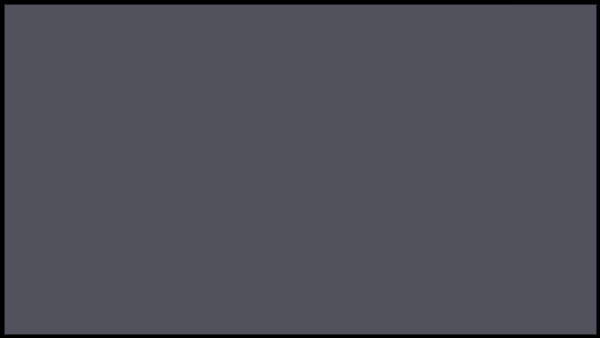 So what now? Well, last night’s shocking events can only mean one thing. And no, it’s not that WWE has finally listened to the fans and accepted that they need to push somebody other than Roman as the “top guy.” Clearly, WWE plans to have Roman Reigns defeat Brock Lesnar at WrestleMania 35 next year, and this year’s loss is designed only to make his eventual victory all the more triumphant, which will really, really, super-duper confirm his status as the “top guy” of WWE.